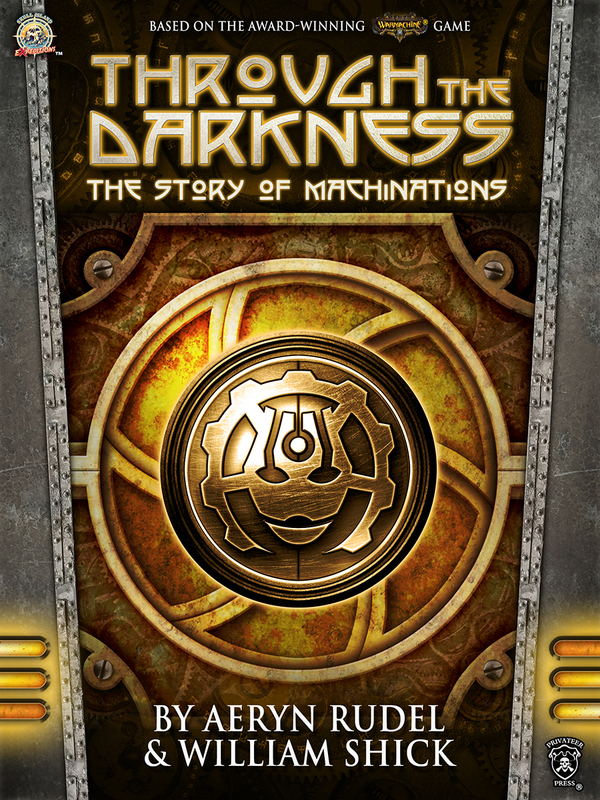 A WARMACHINE novella I wrote with Privateer Press colleague William Shick. Fear breeds the unlikeliest of allies . . . The mercenary Rutger Shaw doesn’t have many friends, but to the ones he’s earned he’s loyal to the death. That’s just what his partner Taryn di la Rovissi is afraid of, and it’s one reason she’s not thrilled when Rutger dodges another contract so they can help out his old Steelhead captain, Brunner Ainsworth. Together with Brunner, Rutger and Taryn join a Highborn army and march to liberate the Llaelese town of Dunlyf from Khadoran oppressors. Yet the mercenary force finds Dunlyf deserted, with no sign of its people or what happened to them and its buildings strangely intact. When Brunner’s squad goes missing as well, Rutger and Taryn’s search leads them to stumble across an old enemy, Harlan Versh, a zealous witch hunter and member of the infamous Order of Illumination. It soon becomes clear that a mysterious evil is plaguing this region and Harlan Versh may be able to help the mercenaries track down their friend and the missing people of Dunlyf. A tenuous alliance is struck, and Rutger, Taryn, and Harlan Versh begin to uncover clues that point to a vast and deadly threat lurking beneath their feet.